True but I don't see this game having continued success like V. With everything I have heard and read I just don't. In fact of they released SP DLC I can see it being another EFLC situation. Not having the continued success of GTA V - the 3rd highest selling video game of all time behind only Tetris and Minecraft - doesn't exactly make it a failure! No comparable game has ever had the continued success that GTA V has had. And that's despite the fact that V gets widely panned in multiple corners of the internet for a multitude of reasons. I playd to chapter 6 so allmost to end, but decided to start from beginning before seeing the end. I have missed so my things. World has much more things and details than i realized before, but some things you never see if you never stop and just look around. If you go early to the loggin place near strawberry you can even see them axe the trees down one by one. In the Hoseas bear hunting mission where you have to buy horse, the horses gender is random. Previously the standardbred i got was male, but this time its girl horse. The npc's all have their own work and life and they remember you if you talk to them again. Their not just clones like in most other games. So much small detiles in the world. The best game I have played. I"m doing a super slooooowww second playthrough and I've had the same experience. I must have missed close to 40% of the content in the game just blowing through the story the first time through. I figured I would do all the extra exploring after the credits, but doing it as Arthur before Chapter 5 hits has been far more rewarding for me overall. I think I've seen at least 15 more random events so far. What really blew my mind was, when I came upon the snakebite guy for a second time and just said to myself "well here we go,things are repeating now lol" But then the guy says something like "I can't believe you saved my life again!" and Arthur goes "Yeah, it won't happen a third time!" I was floored that they actually added a completely different set of dialogue for the second ecounter. They really went above and beyond with the details, it's crazy. Hmmm, in Ch. 4 now, and I think, that if you decide you have beef with someone and your only cheap tactic is to kidnap a child for leverage against said adversary, I feel no mercy and feel unequivocally obligated to return the favor with el plomo. It absolutely does not matter if that child was kept "safe". Such insolence cannot be forgiven. Was hanging out in Rhodes and a Gray insulted me after I greeted him. So we ended up in a fist fight, 3 other Gray's join in as well. Sheriff Thomas comes out of his office and starts yelling for us to break it up. Suddenly one of the Grays pulls out a gun and shoots me once. Sheriff Gray at this point blasts all 4 Gray's dead in about 2 seconds. I got no wanted level or anything. I greeted Thomas and Arthur even thanked him. Kinda cool to see that we're not always the bad one. Went back to Limpany after about 120 hours of play time have passed. In the sheriff's office the gold bar was there again in the lock box and I'm 100% sure I had picked it up after I got the 300 dollar bounty in Strawberry after the mission with Micah. I noticed a while back that loot in shacks and houses respawns after a while but it seems like that this gold bar respawns as well. I'll check back in a while again. Still really cool to see the differences in term of atmosphere, design, peoples between e.g. a modern city like Saint Denis and Strawberry, you can really feel that it is two very different places, like you would IRL, really great job there. It's amazing actually that Saint Denis feels more advanced than Blackwater did in 1911 in Red Dead Redemption (Ignoring the technology). Infact it kinda has an Assassin's Creed feel to it. Going into Saint Denis almost feels surreal. You spend so much time out in the untouched wilderness living off the land, but then going to Saint Denis feels like you're travelling in time. It's not a thing bad at all, but it shows how well it contrasts the rest of the map. Yes, it made me think of Assassin's Creed: Syndicate. It's that same feeling of going from countryside to city in San Andreas that I kept jabbering on about. It's a nice contrast. I experienced it again the other night in RDR2. I spent so much time hunting in the wilderness that Saint-Denis felt like another world. I love that contrast. And I wear my Grizzly hunting outfit out in the wilderness. When I got business in the city I wear more gentleman's attire. I don't like sticking out like a cowboy yokel. Got to keep my cover and blend in with the locals. Me out hunting and mooching about.. I'm still only about 51% through the story. People are speaking of slow-playthroughs. 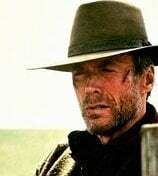 Well, the first time I played RDR, Fallout 3, Skyrim - the second playthrough was always better because I wasn't rushing through to see what happens next - and I had more of a strategy second time round. This time I cut out the first-rushed play-through and started taking my sweet time. It's crazy because I only discovered the burnt town that was right beside my old camp for the whole time. I've played the game for over 100hrs. How could that be, lol? I love taking in all the detail and taking in the detail during the first playthrough is more rewarding for me than discovering it a second time around. He would be in world record territory but technically Jack could still be alive today. I never personally witnessed hail during my playime. I feel like chapter 6 is when all the options are available. I had snow in Annesburg that lasted for multiple in-game days, never have I seen that any other time of the story. The only time when I encountered snow outside of the Grizzlies West region was when I came down from the mountains while it was snowing, like if the engine doesn't recognize that I'm already out of the snowy region and it instead takes its time to make a weather transition. Did anyone encounter sudden snow without coming down from the snowy region first? We're due another patch and hopefully some single player additions. One thing I was wondering about in regard to the story is how Cornwall came to know that Dutch was behind the robbery of his train. Does it imply that Micah was intentionally setting up the gang to fail from the start by informing about their locations? Otherwise I don't know how he finally met with Dutch in Valentine accusing him of robbing his train unless it was an insider tipping off Cornwall. Did you get the English Mace in New Austin? That's what was missing for me anyways even though it was already marked in my compendium. True. 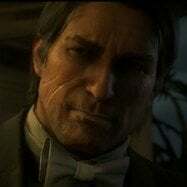 Redemption 2 is like a spiritual successor to San Andreas in terms of how the story takes you to different regions/states as you progress, from the snowy mountains, down to the open fields of the heartlands, to the humid swamps and finally to the forests-rich and hilly areas in the north. Redemption was also like this, but with less variety and a smaller scope. It appears that R*'s stories work the best this way, at least for me.